On Saturday March 12 at 10am, downtown Pittsburgh will once again be filled with Irish cheer for it’s annual St. Patricks Day Parade. 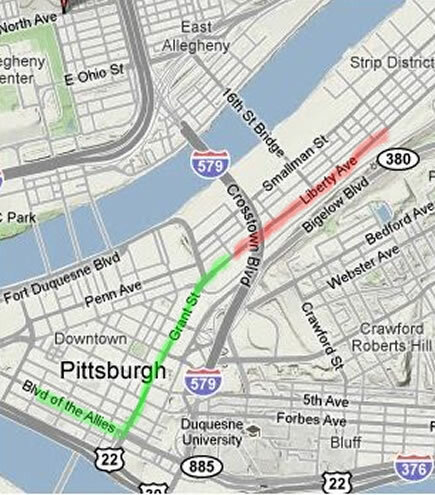 The parade route has been posted and is available with more details on PittsburghIrish.org. Many downtown and around town restaurants will be in their Irish best. Here are some recommended favorites from The Pittsburgh TasteBuds. Market Square will be going full force with family friendly entertainment from 10am – 2pm. Adult entertainment and music will begin at 2pm. Market Square restaurants will be open with specialty food and drinks! We will keep updating as we approach the weekend! Remember that City police will be out in full force making sure no one has open containers on the street. Please don’t do anything stupid and drink responsibly!